With over 5800 acres of water surface Lake Miltona is the largest lake with most diverse fishery in Douglas County. Known as one of the top producing lakes in Minnesota, it’s perfect for the anglers in search of a trophy, or the family in search of a basket of panfish. 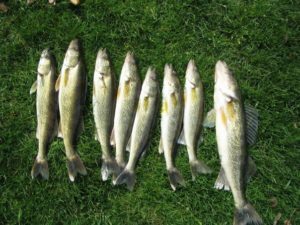 Game Fish: Walleye, Muskie, Smallmouth and Largemouth Bass, Northern Pike, Crappie and Panfish. This DNR website has extensive information, detailed maps and data on Lake Miltona. Rusty Moose Resort is only two miles from the Lake Miltona, Parson Park (NE) State Water Access Site.